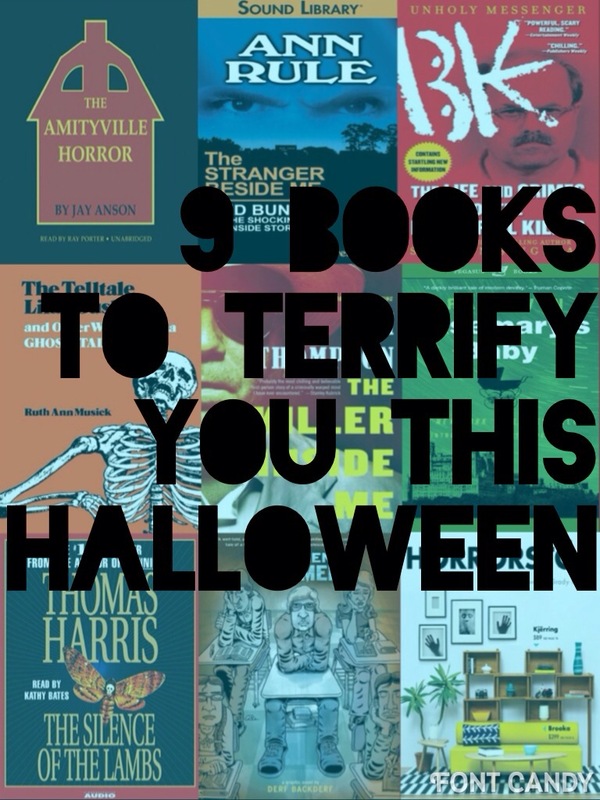 In honor of the impending Halloween holiday, I’ve comprised a list of 9 books that truly terrified me. Enjoy! The Amityville Horror by Jay Anson – The most famous haunted house case may or may not be true, but it will still keep you hiding under the covers. I read this in the 7th grade and hid the book because it scared me so much. The next day, it was laying on my bed. My mom had cleaned my room, but I was still freaked out. Horrorstor by Grady Hendrix – In an attempt to catch a vandal, a group of employees camp out in a furniture store overnight. What they find is much more menacing. Be prepared for fright-induced insomnia. The Killer Inside Me by Jim Thompson – This novel about a murderous sheriff will have you questioning what kind of sickness lies within everyone you know. My Friend Dahmer by Derf Backderf – A graphic novel about Jeffery Dahmer’s adolescence written by his high school friend. Dahmer’s transition from disturbed teen to serial killer is unnerving, as is the look into his depressing homelife. Rosemary’s Baby by Ira Levin – The horror classic about a woman impregnated with the Antichrist will make your blood curdle. The Silence of the Lambs by Thomas Harris – If you can read this book without getting scared, then you are not human. The Stranger Beside Me by Ann Rule & Unholy Messenger by Stephen Singular – Yes, more true crime. Reality is more horrifying than fiction. These books are about Ted Bundy and BTK – two of the most gruesome serial killers ever. After reading these, I was constantly checking the locks on my door and windows. The Telltale Lilac Bush by Ruth Ann Musick – This is a compilation of West Virginia ghost stories. Required reading for any kid who grew up in the state (like me). I recommend starting with “The Little Rag Doll” or “Big John’s Ghost”. So what is the most terrifying book you’ve ever read? A few commenters have asked how I make the RA graphics featured on this blog, so I’m going to break it down in this post. It’s really not that hard, though it can be time-consuming. I have faith that y’all can do it! Step 1: Pick a theme – The possibilities are limitless. You can make a genre graphic, readalike graphic, book suggestions based on other media people enjoy, etc… There are plenty of great examples out there. I think that Molly over at Wrapped Up in Books makes some wonderful graphics. Pinterest is also an excellent place to find examples. If you draw inspiration from someone else’s creation (especially if you are reworking something they’ve already done), credit them. Step 2: Find your titles – Once you’ve picked your theme, you need to decide what titles you will feature on your graphic. You can pull from your own knowledge or use outside sources. NoveList is a great resource for finding readalikes and most libraries have a subscription to it. I will sometimes use lists from sources like Buzzfeed or Flavorwire. If you do that, make sure to credit them in your post. Step 3: Put it all together – This is the really time-consuming part. I use Publisher because it’s easy to import and arrange images and I have access to all of my own fonts. All of the jacket images I use come from our catalog. I sometimes incorporate Microsoft’s free stock photos and Creative Commons images from Flickr. Again, make sure to credit appropriately if you use a CC image from Flickr. For fonts, I use Fontspace or dafont to find relevant fonts for my graphics. Many of their fonts are free for personal use and some are free for commercial use. Check the license before using any font. Once I have everything set up how I want it look, I group it together and then save it as an image. Occasionally I will upload it to a free, online photo editor to add extra flourishes. My favorites are: PicMonkey, iPiccy, fotor, & befunky. After adding finishing touches, I share the graphic with the world on various social media sites and this blog. 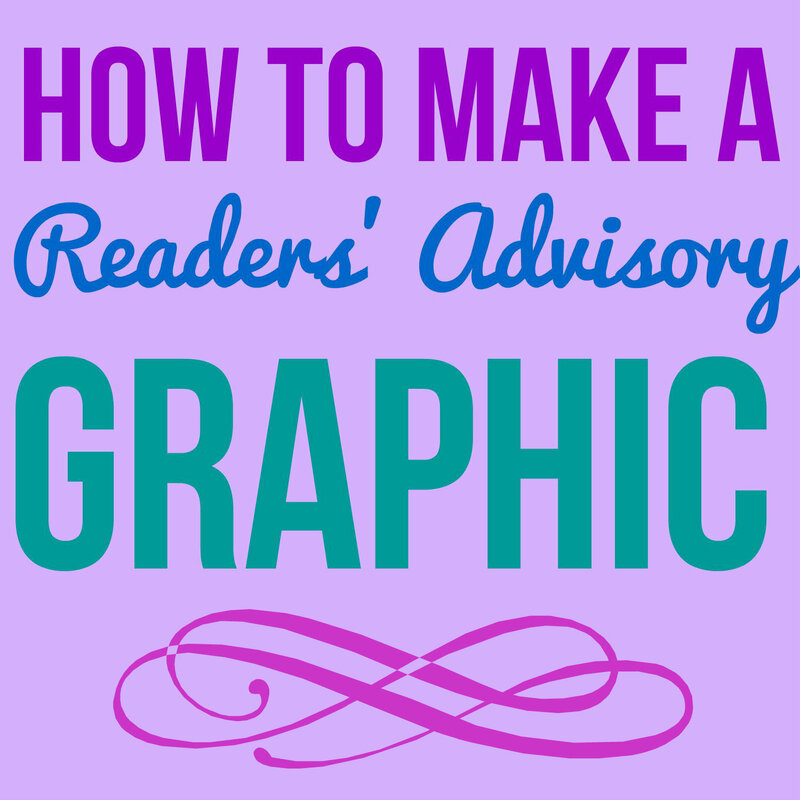 So there you have it – three steps to making an RA graphic! Go forth and create!